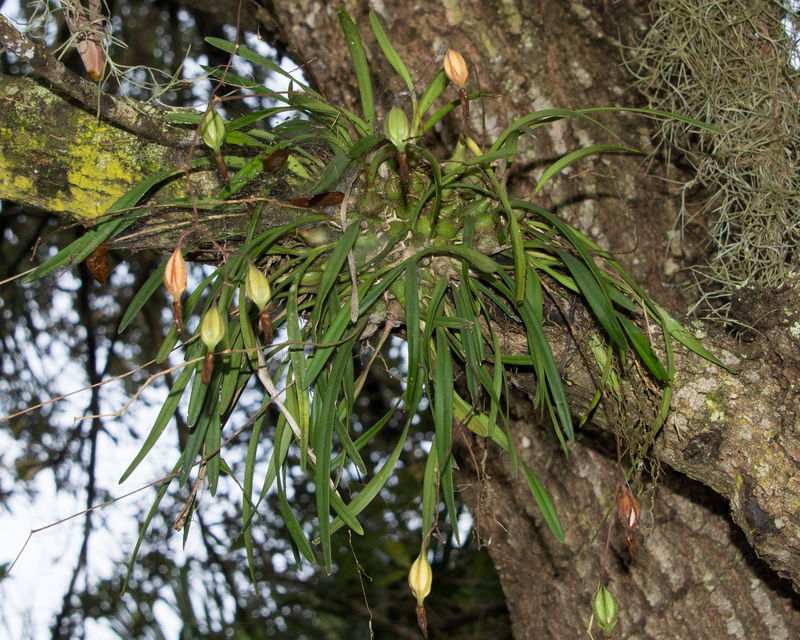 I think this is a butterfly orchid – hopefully I will not miss the flowers – I’m hoping the pods open up. Beautiful! The Butterfly Orchid, the Spanish Moss and both on the oak tree are so symbolic of Florida to me. I in fact think of “old” Florida – before it was paved over. When I find a spot with a big southern oak, draped in Spanish moss I mentally transport myself back 100 years or more. Ohh yes, “old” Florida for sure! It does evoke that old-time feel.